Import your data from Excel files. Pragmatic Info Solution makes milk collection process calculation easy. Right from measuring the fat of the milk to make payments to the farmer/suppliers and generate analytical reports, all the steps are taken care of in the solution. Given our rich industry experience and expertise, we are offering Dairies Management System to our clients. This Dairies Management System is used for complete management of diaries and is considered to be of excellent quality. It has inbuilt software mechanism which allows complete access to information. Dairy Software is designed to extent the benefits of technology to this not so technologically sound industry, which is mainly run by farmers in the rural areas. By introducing milk dairy software ERP solutions in this industry, we look forward to working in the larger interests of milk producers by giving them optimum yield from their available resources. This application is very user friendly. Various reports are very powerful which helps to keep track of stock. - Fat, SNF, Lacto wise rate insertion. - Shift wise collection report. Software for Milk Chilling Plants to manage route wise milk collection from suppliers, Generate periodical bills, Automatic commission Entry, FAT / SNF wise rate list. Integrated with financial accounts. When it comes to effective decision-making in regard to milk production, components, animal behavior, health conditions, parlor equipment and nutrition, every piece of data counts. Dairy teams deal with challenges 24/7, as they seek the knowledge that assures successful dairy farm management. 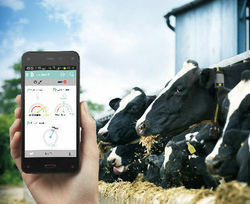 We are offering a wide range of Dairy Farm Management Software to our customers. Our company is involved in rendering a wide range of Dairy Managment Software to our clients. This product is extensively used in different regions for managing various Dairy farms.